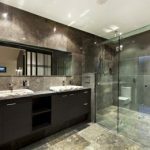 Best Ceramic Tiler in Sydney! 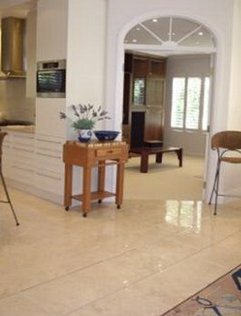 Whether it be a kitchen, Floor, Wall or bathroom ceramic tiling renovations in Sydney or new builds we have the expert tilers you can depend on. Commercial and Residential work is our specialty. We have trained many apprentices in Sydney over the years who now work all over Australia! We cover the eastern suburbs, inner west, north shore, northern beaches, the hills district, and Sydney’s west and south west. We will even take on the central coast region if requested. We handle all types of tiling services ranging from your Swimming Pools, to your Outdoor Patio plus all internal bathroom shower wall and shower base areas. Kitchen splashbacks and complete kitchen wall and floor tiling. We can supply and install outdoor and stone tiles as well. With many doing homemakeovers thesedays it pays to have your tiling looking perfect and completed professionally. We can all spot a DIY job. If its not done correctly, small problems will eventually turn into large and costly problems. Its so important to choose a good reliable and knowledgeable tradesperson. A neat job really stands out and can make a bathroom or kitchen look awesome. Some say the tiling makes or breaks the look of the whole room. 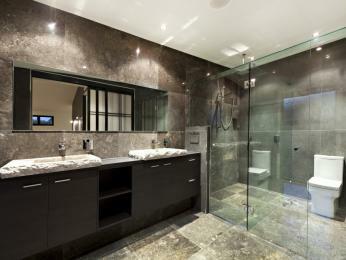 Tiles dont need to be expensive but they can often create a rich and oppulant look that simply painting cant match. A tile is a manufactured material such as ceramic, stone, metal, or even glass, utilized on floors, walls, showers, or on tabletops. Sometimes a tile can be also applied in different ways like in lightweight materials such as perlite, wood, and mineral wool, on walls and ceilings. The word is derived from the French word tuile, which is, in turn, from the Latin word tegula, meaning a roof tile composed of fired clay. Tiles are used as wall and floor coverings, ranging from simple square tiles to complex mosaics. Tiles are mainly made of ceramic, most often glazed for internal uses and unglazed for roofing purposes, however different materials are also used, eg glass, cork, concrete and other composite materials, and stone. Tiling stone is typically marble, onyx, granite or slate. Thinner tiles are mainly affixed to walls rather than on floors, which need durable surfaces that will resist high impact. Please feel free to call us for more info and advice. We are happy to help! In the meantime browse our website for more useful information and our popular picture gallery. We are small to medium sized, family owned company. We have a depth of knowledge and wide range of experience in all facets of the industry from marble, granite, limestone, sandstone, shellstone to victorian federation, ceramics and porcelain. We are proud members of the Housing Industry Association (HIA) and the Master Builders Association (MBA). We invite you to take a tour through our website. Kitchen Makeovers from Design and Colour recommendations to complete installation and finishing. General Wall and Floor Tiling. Commercial Tiling both corporate , government. We handle it all from concept design to completion. We provide a full tiling service ranging from quoting, designing, and estimating to demolition and construction to waterproofing and tiling. From kitchen splash-backs to entire houses. LeerbergTiling has been Grindley's Preferred Tiling subcontactor for last 10 years and have even done work at my place. A small construction company, I need to know and feel confident that my subbies will be there we I require them the Leerberg 's haven't let me down. Leerberg Tiling P/L is a small to medium sized, family owned wall and floor tiling company. The company has over 60 years of accomplishments in the tiling and building industry. We have a depth of knowledge and wide range of experience in all facets of the tiling industry from marble, granite, limestone, sandstone, shellstone to victorian federation, ceramics and porcelain - everything from BC to AD. We are proud members of the Housing Industry Association (HIA) and the Master Builders Association (MBA). We invite you to take a tour through our website.